Bahia Principe Hotels & Resorts is preparing to unveil a new property in Tenerife, Spain. The brand, which already has locations in the Caribbean, Mexico and other parts of Spain, will be adding a more than 370-room Fantasia Bahia Principe Tenerife to its offerings. Slated to open in November, the new property will be the company’s second Fantasia-class hotel, following on the successful launch of the Luxury Bahia Principe Fantasia in Punta Cana. Fantasia properties are a family-friendly concept that features a whimsical setting and a range of accommodations, activities and dining options designed to cater to guests of all ages. The newest property was inspired by the success of Luxury Bahia Principe Fantasia, which will rebrand as Fantasia Bahia Principe Punta Cana in November. “At Bahia Principe, we take pride in providing unique experiences for family members of every age, interest and background,” said Lluisa Salord, senior vice president of global sales, contracting and distribution, Grupo Pinero. “As a family-owned and operated company, we understand the value of family bonding and the importance of providing vacation settings for loved ones to come together. “The response to our Fantasia concept in Punta Cana has been truly overwhelming, and now we are thrilled to expand the experience to Tenerife, further solidifying our positioning as an all-inclusive innovator in the market,” Salord added. 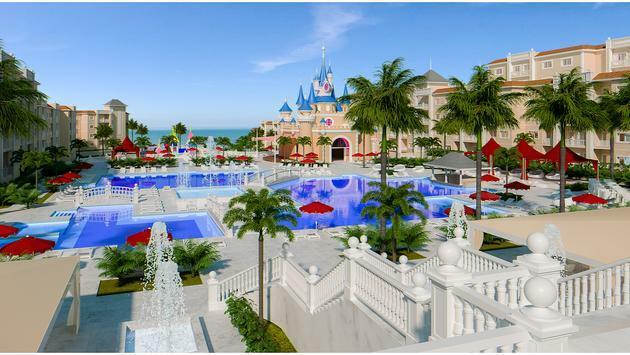 Located on Tenerife’s Costa San Miguel, the Fantasia Bahia Principe Tenerife is set to become one of the region’s most upscale and largest properties. In addition to more than 370 rooms it will have four restaurants, six bars and complimentary Wi-Fi throughout the property. There will also be personalized concierge service specializing in family travel available upon request. The Fantasia Bahia Principe Punta Cana, meanwhile, is preparing to update its logo to reflect its new status as a Fantasia property. It will also revamp its value-driven offerings. Fantasia guests will have exclusive access to the hotel’s restaurants and amenities and will also be able to access the common areas of Grand Bahia Principe hotels within the resort complex. A massive fairytale castle is the center point of the property, home to nightly light shows including a video mapping story that relates to the destination, its nature and history.